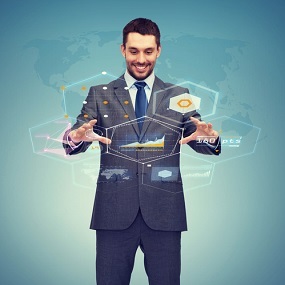 More than at any time in history the economies of the world are interdependent. This stimulating course introduces a variety of topical issues that affect each of us every day – whether we like it or not. What is the link between inflation and unemployment? What factors might lead to a worldwide economic crash? This course takes you on a tour of the world of economics and answers these and other key economic questions along the way. Oxford Open Learning’s International GCSE Economics course is designed to prepare students for the Edexcel IGCSE in Economics (4EC1) for first examination in May/June 2019. After this, the exam may be sat twice a year, January or May/June. If you wish to apply for January 2019 exams please contact a Student Adviser for more information. 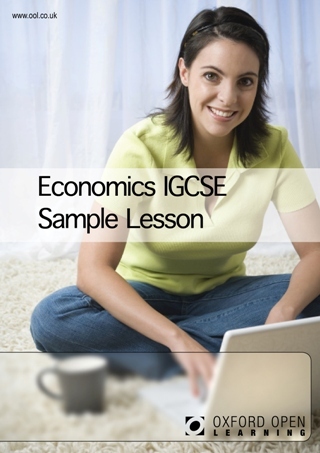 What's the difference between GCSE and IGCSE Economics? The international GCSE Economics is of the same level as a GCSE and is examined by Edexcel, one of the UKs most trusted examination boards. A key difference is that IGCSE Economics does not include any classroom controlled assessment, making it convenient for distance learners. The Economics International GCSE qualification is accepted as at least the equivalent of GCSE in UK sixth form colleges, FE colleges, universities and other HE institutions. 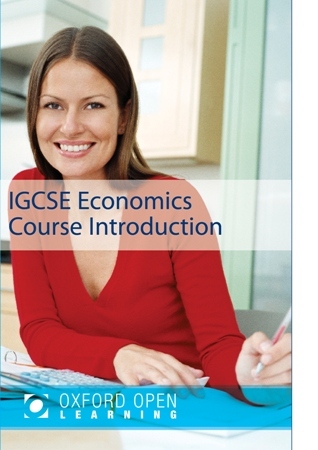 How much does the Economics IGCSE course cost?